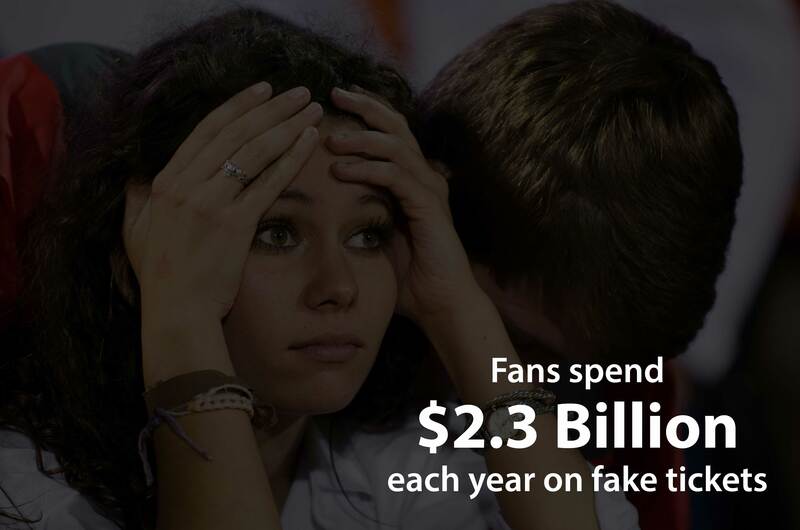 Fans lose $2.3 Billion in fake tickets annually. There's simply nothing like being there. Whether that means sitting in the stands while your favorite team wins the championship as confetti rains down or standing in the crowd as you and your friends sing along to your favorite artist’s last song at a sell out concert. Unfortunately, due to the fact that so many people want to “be there”, ticket scalping and ticket fraud are problems that fans have to deal with all across the globe. This isn’t just about sports. Nearly 5 million people a year receive fake tickets to concerts, sporting events and theme parks...and that’s just domestically. Ultimately, with fans having dozens of options to find tickets to their favorite live events, teams and artists need to find a way to verify the authenticity of tickets regardless of where fans purchase. regardless of where fans purchase their tickets. The future of ticketing isn’t exclusive partnerships or requiring fans to purchase through one specific app. The future of ticketing is increased distribution, allowing fans to buy tickets however and wherever they want. The future of ticketing is safe, simple, and secure. Bandwagon is an analytics company that uses data, and our proprietary blockchain technology, to help teams and event organizers eliminate ticket fraud while increasing fan engagement. We believe that blockchain is the right technology to address these issues, by allowing stakeholders to cooperate on a shared model of tickets and fans, with the confidence to know that the model is only ever accessed and modified in ways that meet agreed-upon business rules, enforced by smart contracts securely, mathematically, and cryptographically. Block-extension criteria is a based on "proof of properly executed contract", not "proof of work"
Stakeholders work together to validate proposed changes against pre-established smart contracts. Faster and less wasteful than other blockchains like Ethereum. We want to be viewed in each case as a partner and not a competitor, supporting each link in the existing fan experience. Clients are incentivized to fill in missing pieces about a ticket or a fan because through participation they gain the complete fan picture, as built by the entire network. Our product allows stakeholders to set individual terms and restrictions on their shared data, as well as hold important “crown jewel” data in reserve. We have evaluated that market both domestically and internationally and believe that as the adoption of mobile and RFID tickets continues to increase, our solution will become more and more powerful. Our projections for revenue focus solely on our success in the U.S. but we're already talking to customers in the Caribbean and the UAE. Fan Engagement - Effective communication is key in marketing. Knowing which fans to deliver marketing messages is critical to the success of any marketing activation. Day of Event Revenue - Merchandise and Concessions sales make up a large percentage of the operating revenues for most teams and venues. By understanding fans' characteristics and their preferences, our customers are able to optimize their merchandise mix and rest assure that they have food & beverage options for all of their attendees. Sponsorships & Partnerships - This is the lifeblood of many event organizers. Brands are willing to pay top dollar to have the opportunity to engage a captive audience so event organizers should do their best to connect them with fans that are genuinely interested in their product or service. This means less unwanted spam for everyone! Philanthropy - Sports and charity often go hand-in-hand. Giving fans a vehicle to support their favorite non-profit organizations and causes while enjoying live entertainment benefits everyone involved. With more than 1.1 Million tickets on our system, we are proud to be the largest commercially built ticketing blockchain in the world. While building our solution, we spent a lot of time learning about fans and protecting their data by aggregating it into data points like you see below. Through the identity management platform, we are able to gather fan data, aggregate it, categorize it by segment, and secure it. Our small, yet scrappy team is headquartered in Greenville, South Carolina with a presence in Austin, Texas. From an ex-Googler to a military veteran to a cupcaker who paid their way through college by starting a meal delivery company (seriously), we value our differences because of the perspectives that they provide as we set out to solve a major problem with live events around the world. The visionary and team captain behind BANDWAGON, Harold brings a wealth of experience from his time in sales and business development in corporate America and as a passionate sports fan. With an MBA and Bachelors degrees from Clemson University (and currently pursuing a Graduate Certificate in Innovation & Entrepreneurship from Stanford University), Harold has the knowledge, insights and experience to help our clients better understand and act upon the available data about their fans to create the ultimate fan experience. We have been at this for over 2.5 years and we've lasted long enough to know that execution means everything. The decision for our founder, Harold, to go full-time in January 2016 was not an easy one. The idea of bootstrapping is challenging enough without factoring in a growing family but sure enough, we set our goals, followed our plans and executed - we cut the ribbon to launch our first product on August 16, 2016...and welcomed in the youngest member of our Bandwagon, Carter, on August 18th. "The world is often such a divisive and segregated place. We're building BANDWAGON to be a vehicle that brings fans together. We want the buying process to be safe, simple, and secure." 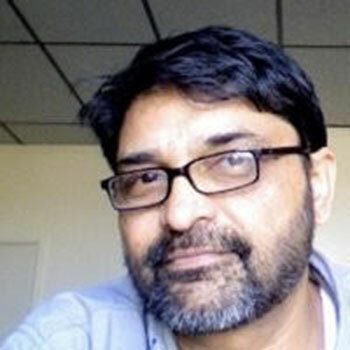 With over 25 years of experience, Arshad is the technology enthusiast who brings the BANDWAGON vision to life. He keeps all the behind the scenes gears running so that all our clients see is a clean, sleek and innovate product. With a computer science degree from Nebraska and experience as everything from an inventor to co-founder, Arshad rises to any challenge. With years of experience leading large teams and overseeing accounts for clients worth millions at a Fortune 1000 company, Samotria has the background to put our mission into action and ensure that we deliver on our promise to our customers. The brains behind our proprietary blockchain technology, Dr. Hampton Smith is responsible for our secret sauce - the data. 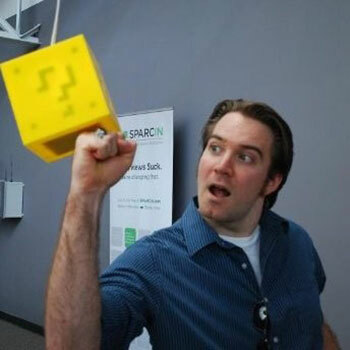 From his experience at Google and as an indie video game developer, Hampton knows his stuff and that helps our clients really know their fans. 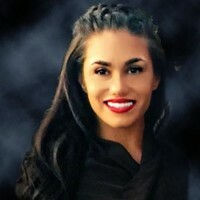 As a former founder, Kim has a unique background that stems from technology conception/creation/deployment, wellness/talent & F500 business development which allows her to bring a completely unique set of eyes to BANDWAGON. La-Vaughnda helps mold the BANDWAGON image and fulfillment of our brand promise of ultimately enhancing the overall game day experience for our clients and ultimately the fans. Our mission is to create better fan communities inside stadiums and arenas across the world. We believe that the key to elevating the fan experience is creating a collaborative environment with the event organizer and every potential distribution channel that fans will use to buy tickets to their events. Join us in transforming events! The smallest investment amount that BANDWAGON is accepting. BANDWAGON needs to reach their minimum funding goal before the deadline. If they don’t, all investments will be refunded. If a trigger event for BANDWAGON occurs, the discount provision gives investors equity shares (or equal value in cash) at a reduced price. BANDWAGON needs to raise $25K before the deadline. The maximum amount BANDWAGON is willing to raise is $1.07M. Your name will be listed on our website under Investors. You can choose to not have your name listed. Personalized update and thank you video from the founder and CEO (and previous perk). Embroidered BANDWAGON polo (and your choice of any previous perk). A 30-minute video call with our Founder (and your choice of any previous perk). A one-on-one meeting with the Founder at our Headquarters! Travel not included (and your choice of any previous perk). Dinner with our Founder and team in Greenville, Austin, Los Angeles, or San Francisco. Travel not included (and your choice of any previous perk). A BANDWAGON team member will throw you + 5 guests a tailgate party in Austin, TX or Greenville, SC (or within 100 miles of either city). Travel not included. Invitation to dinner with our Founder and one of our advisors of your choice. Travel not included. A seat on our Advisory Board and dinner with one of our Strategic Advisors in Austin, Greenville, or San Francisco. Travel not included. 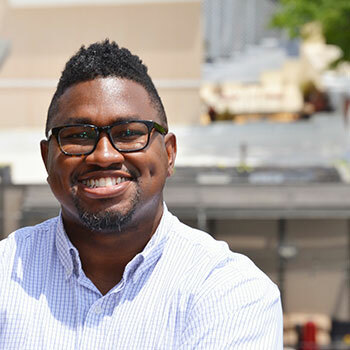 The visionary and team captain behind BANDWAGON, Harold brings a wealth of experience from his time in sales and business development in corporate America and as a passionate sports fan. And it doesn’t hurt that our fearless leader can work a room. With years of experience leading large teams and overseeing accounts for clients worth millions at a Fortune 1000 company, Samotria has just the background to put our mission into action and ensure that we are bringing real value to our customers. With over 25 years of experience, Arshad is the technology enthusiast who brings the BANDWAGON vision to life…he keeps all the behind the scenes gears running so that all our clients see is a clean, sleek and innovate product. 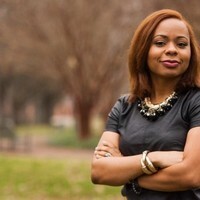 Her background includes work as a physician, data scientist and entrepreneur. She also advises Aris MD, Xperiel, Ceek VR and Ceek Global Innovations and has a demonstrated background in informatics/predictive analytics and strategy. 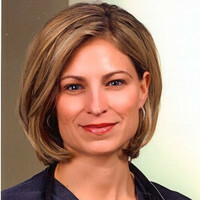 Mellie is the inaugural Executive Director, Commercialization at the Dell Medical School at the University of Texas. 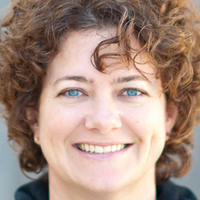 She founded Front Gate Tickets, one of the largest privately held ticketing companies before it was sold to Live Nation. 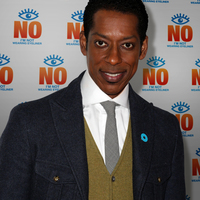 In an unconventional career spanning 30 years, Orlando Jones is best known for his indelible performances on screen and stage. Dubbed the King of Fandom by MTV, he has also established himself as an influential force within the fandom universe. The brains behind our proprietary blockchain technology, Hampton is responsible for our secret sauce, the data. From his experience at Google and as an indie video game developer, Hampton knows his stuff…and that helps our clients know their fans. Kim is our "Weapon X". A SaaS sales expert that has experience as a startup founder, Kim understands how to work with our customers and partners to uncover their true business needs. As a thoughtful listener, Kim is a key asset to our team. With a background steeped in the sports and entertainment worlds, La-Vaughnda helps mold the BANDWAGON image and fulfilment of our brand promise of ultimately enhancing the overall game day experience for our clients and ultimately the fans. Entrepreneurial-minded executive with experience leading business and financial operations. Proven leader with passion for inspiring a culture of growth, collaborating as a team, and capitalizing on opportunities. Shouldn’t we just use a traditional database? Traditional databases are great for supporting internal customers, but where the data meets the wider world businesses need to collaborate and innovate and that means working together to build a cohesive picture of fans, tickets, and events. Bandwagon’s open blockchain ecosystem allows stakeholders to come together and share the pieces of the puzzle that allow for deep insight into the fan experience. No need to build or maintain complex APIs and gateways--the data is the gateway. How can we trust that our proprietary data will be used appropriately? Built on IBM’s open-source Hyperledger Fabric blockchain technology, Bandwagon’s fan experience ecosystem supports private chains and network-enforced smart contracts. Share only the data you want to share, and only with the stakeholders with whom you want to share it. Embed smart contracts that ensure your data is only used in just the ways you want. What is a private chain? A private chain is a personal immutable ledger of transactions and observations that you control. Bandwagon administrates it, you share it with whomever you want and only in the ways you want. Strong elliptic-curve cryptography keeps everybody else out, and embedded smart contracts ensure that those you privilege to contribute do so appropriately. With a traditional database, data must be manipulated by people and applications that you trust to update it correctly. A bad update and you have incorrect data, data inconsistency, or data loss. Opening a traditional database to partners means building and maintaining expensive APIs and gateways that enforce safe, consistent updates. And, without direct access to the data, multiple cooperating organizations end up maintaining independent fractured databases of the same (hopefully!) information. Smart contracts embed the rules of fair play directly into the data. Cooperating partners get direct access, but are unable to make updates unless they conform precisely to the pre-negotiated rules. What does it mean that the ecosystem is open? Bandwagon provides infrastructure that makes the fan experience blockchain ecosystem work, but partners can enter the network themselves, contributing their own infrastructure to form a decentralized network to manage their data and the data of their partners. More partners means more availability, more disaster-resistance, and more stakeholders with an interest in maintaining the integrity of the data. Bandwagon is an analytics and identity management company that uses data to help sports teams and artists increase their revenue and eliminate ticket fraud by focusing on fan identity. Our small, yet scrappy team is headquartered in Greenville, South Carolina but we are fortunate to have presence in Austin, Texas and Sacramento, California thanks to our relationships with Capital Factory and Valley Extends, respectively. From an ex-Googler to a military veteran to a cupcaker who paid their way through college by starting a meal delivery company (seriously), we value our differences because of the perspectives that they provide as we set out to solve a major problem with live events around the world. Our mission is to create better fan communities inside stadiums and arenas across the world. We believe that the key to elevating the experience for these fans is personalization, specifically around the services that are offered and the marketing messages that are being delivered. Our focus began with college football and has now expanded to include other sports to curb the effect of seasonality, however, we are beginning to be approached for our solution to be utilized in other sports, live music arenas, and conventions. The data that’s needed to move the state of the industry forward is siloed in the databases of many different stakeholders who have different needs and market drivers. The teams that issue the tickets know about their season ticket holders but not what happens to the tickets after they leave the distributer. The secondary markets know when a ticket is being sold but not where it was originated and equally important, if it’s being sold on another market at the same time. Marketers and vendors may know have an expected target audience, but may not who actually attended the game or who the ticket buyer brought with them. From a lost opportunity and challenges perspective, we see our solution working for three parties: teams, ticket companies, and brands. For teams, personalization of marketing messages and services begins with identity. By knowing who is in the stadium regardless of the marketplace that the fan used to purchase their tickets, teams are able to curate the fan experience and deliver value that can’t be obtained at home. For ticket companies, identity is everything when it comes to solving the fraud problem. By having a clear audit trail of authenticity, ticket companies can now allow fans to list tickets with certainty of their origin, ownership, and restrictions. As for brands, the biggest opportunity is the ability to do lower customer acquisition costs by using enriched data of fans based on the preferences that they display in aggregate or down to the individual fan level. We believe that blockchain is the right technology to address these issues, by allowing stakeholders to cooperate on a shared model of tickets and fans, with the confidence to know that the model is only ever accessed and modified in ways that meet agreed-upon business rules, enforced by smart contracts securely, mathematically, and cryptographically. We believe that under this scheme, all stakeholders are properly incentivized to participate in data-sharing, in a way that opens new markets and new opportunities to capture fan engagement and provide enjoyment and a satisfying fan experience. We believe our blockchain solution is a core part of our business and thus wanted to avoid becoming tenants on someone else’s chain. This ruled out the Bitcoin Blockchain and solutions like Ethereum early on. At the same time, we see our primary business value not as the providers of a blockchain, but as B2B facilitators, market designers, and consumer data analysts. Our blockchain is an important part of that infrastructure, but it is not itself our product, and so we were interested in exploring chain technologies that eschewed wasteful mining and proof of work and instead focussed on permitting flexible and dynamic smart business contracts. IBM’s Fabric platform allows us to roll our own blockchain with an industrial-grade and production-ready infrastructure. Since it is open source and under the Linux Foundation’s Hyperledger umbrella, not only can we work closely with experts at IBM, we can also take advantage of a fast-moving community of developers, contributors, and users in the open source ecosystem. Fabric’s block-extension criteria is based not on proof of work, but rather on what we think of as “proof of properly executed contract” in which stakeholders work together to validate proposed changes against pre-established smart contracts. This is both faster and less wasteful than other schemes, and appropriate for our relatively stable pool of stakeholders. The ability to participate in building a fuller profile of fans and a better picture of their customers, marketplaces, and stadiums. Our goal is to create a product that offers direct value to each stakeholder. We want to be viewed in each case as a partner and not a competitor, supporting each link in the existing fan experience. Clients are incentivized to fill in missing dots about a ticket or a fan because through participation they gain the complete fan picture, as built by the entire network. Our product allows stakeholders to set individual terms and restrictions on their shared data, as well as hold important “crown jewel” data in reserve. We offer our clients the ability to participate in our blockchain as full peers, running their own instance of our software and thus maintaining full control over their identity and data end-to-end, or to interface with the existing Fabric network either programmatically through our API, or using our easy-to-use point and click frontend. 2018 is all about increasing our partnerships and use cases to enrich the fan experience. Whether we’re partnering with one of the world’s largest point of sale companies or integrating with an industry leading RFID ticketing company, we’re focused on unlocking the value of in-stadium/in-arena engagement and delivering services both on and offline. As we prepare for our next round of funding, we are actively seeking opportunities to work with teams to help solve their pain points that come from poorly managed database solutions. Blockchain is a distributed technology that makes it possible for stakeholders to share a collaborative set of data, secure in the knowledge that no matter who serves their data, the data is being served correctly. Mathematical and cryptographic techniques combine to ensure that all participants obey the rules of fair play that are baked into the chain from its inception. What’s the difference between Blockchain and “regular databases”? With a regular database, a single actor is in charge of holding, securing, and serving the data. Sometimes you host your own database, but many times you pay a third party to host it on your behalf. To interact with that data in a way that is secure and consistent, elaborate gateways and web services are required to manage permissions and data integrity. With Blockchain, the rules of fair play are baked in and multiple actors can access and serve the data, with all parties assured that permissions are respected and data integrity is guaranteed. What type of Blockchain are you using? Our blockchain solution is built on the IBM Hyperledger Fabric framework. How is that different from Ethereum or Bitcoin? Unlike systems that build on Ethereum or Bitcoin’s existing blockchains, Bandwagon is not a tenant of another organization’s chain. We own our own technology and run our own chain. As a result of that freedom, we were able to design a technology tailor-made to our use-case rather than letting the tech dictate our business process. Our Hyperledger-Fabric-based blockchain eschews wasteful mining and elaborate cryptocurrency schemes in favor of cooperating business partners collaborating on a chain for the direct benefits it provides. How do customers participate in your blockchain? We offer our clients the ability to participate in our blockchain as full peers, running their own instance of our software and thus maintaining full control over their identity and data end-to-end, or to interface with the existing Fabric network either programmatically through our API, or using our easy-to-use point and click front-end. Harold Hughes: Hey, I'm Harold. I'm the founder and CEO of Bandwagon. We're building this company so that fans everywhere, whether it's sports or concerts no matter where they bought their tickets, can be real and authentic. I know what it's like to spend $100 and not be able to get into the game. We want to preserve that fan experience. Uniquely, sports bring everyone together and so that's something that's really inspired me to connect in that similar way with friends and family as we continue to build this. And so building this company from Greenville, South Carolina and really just looking at my journey here from being the son of an immigrant, Jamaican American family, I want the Drapers to see an entrepreneur who's willing to run through a wall and do everything they can to overcome obstacles and get to this point. Tim Draper: Welcome to Meet the Drapers. Give us your pitch. Harold Hughes: Thank y'all for having me. I'm Harold Hughes and I'm the founder and CEO of Bandwagon. But before that, I'm a sports fan. And like most sports fans this year, I was watching the NBA Finals, watching the Golden State Warriors take home their third title in four years. But most Golden State fans really wish they could have been in the arena with their team to see them win that title. With average ticket prices of over $1,700 to get in, fans who were hopeful were going to have to try and find a deal. And that's where the problem at hand. Harold Hughes: Dozens and hundreds of fans were denied at the gate for this year's NBA Finals because, unbeknownst to them, their tickets were fake. And this isn't just a US thing. 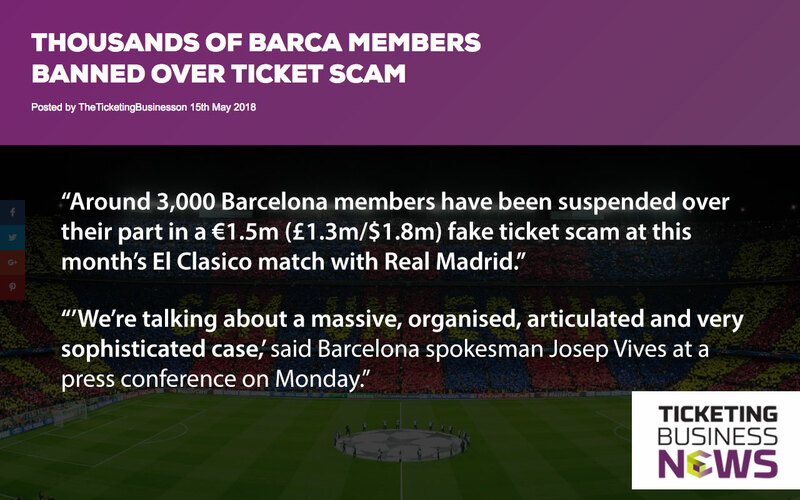 Just in May of this year, Barcelona announced a $1.8 million ticket scam. This is happening in headlines from ticketed live events like concerts all the way down to sports. And so what we've been able to do is harness the power of the blockchain to utilize the very core technology to make the experience better for fans. So it's safer because we're using cryptographic security. Our implementation is super simple so teams don't have to go through the headache of pitching this and making it tough on their team. And last, we're making it secure. Harold Hughes: We view the future of this as SAAS, Stadium as a Service. Giving the fans the ultimate experience and that's why we're using technology like blockchain to make that happen. So I'd like to invite you all to jump on the bandwagon with us. Tim Draper: Terrific. A couple of things, one is what if Stub Hub just decided to put the blockchain on all those tickets or Ticket Master or whoever? Tim Draper: Oh I see. So you can be Geneva. You can be the safe spot everybody gets to use. Harold Hughes: Absolutely. Blockchain on it's basis is a ledger. 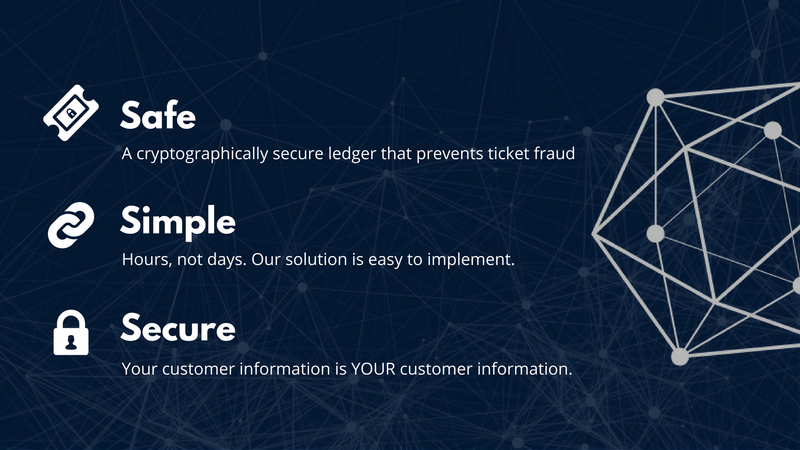 What we're using is a ledger that ties multiple ticket companies together so that they all are able to show that customer who's buying that this is a real ticket every single time. Tim Draper: So there's no token here? Tim Draper: Technology used in Bitcoin was the blockchain. And the blockchain keeps a perfect ledger of every single debit and credit that goes through. It also can take care of all data. Any kind of data, it can verify that data. This is about making sure all those tickets are real and fair. Tim Draper: Then why do you have more fan engagement and food and beverage sales and all that stuff? How do you make money that way? Harold Hughes: Right, so the core of what we do is focus on identity. We want teams to know who is in the stadium on the day of the event. Also concert artists and so on. So there's no real way for you to say a followup for, if I buy a ticket on the secondary market and the team doesn't know I'm there, I don't get the follow up, thanks for coming, here's half off the next game. I don't get the opportunity to save 10% on merchandise because the team won. There's a huge disconnected between teams and the fans who are actually sitting there on the day of the event. But we also know there's scalpers and there's brokers and there's people who are making a lot of money taking advantage of people. Harold Hughes: With our technology we're actually using the ledger to prove the tickets are real, to make sure that the person who's reselling them on these secondary sites is the actual owner, and then third there's no restrictions in the ability to transfer. That allows teams to be able to increase fan engagement. That allows them to monetize extra food and beverage because in that case, I'd say I want to target the people sitting in section 113 for these last 100 hot dogs I have with four minutes left in the fourth quarter. Now I can message them directly. Today that can't really happen because fans are showing up to the arena from dozens of different places. Tim Draper: You can also reach all those people outside of the arena, right? Tim Draper: So after they've been, you have their identity, you have their name and you can say, "Hey, there's another game coming up, if you want to go buy ..."
Harold Hughes: Absolutely. Yes, that's exactly how we do it. So we want to focus on creating that manifest and so we're using a permissioned blockchain. It's not like cryptocurrencies or Bitcoin or Ethereum. It's a permissioned blockchain which allows us to say this ticket company is part of the ecosystem, this ticket company is part of the ecosystem and they're all able to verify that this is actually a real transaction and this person owns this. Tim Draper: I mean, you need to get Stub Hub and Ticket Master and all of them to say, "Yeah, we're gonna go." Tim Draper: How do you get them to do it without turning the screws on you regularly? Harold Hughes: The number one thing we're finding is that there's a $2.3 billion fraud problem in the US from ticketing. Most of that is eaten by Stub Hub and Ticket Master because they're so large. And so for us, we're saying in exchange for making this problem go away for you, we want to help encourage more fans to come to the game. That's what the big value is. Tim Draper: And how do you charge? Harold Hughes: We charge a toll for every time a ticket moves through the ecosystem. So think 10 or 20 cents every time a ticket moves through the ecosystem. But we also sign a one time licensing fee to the team. Harold Hughes: Let's say we start with our first customer, Sacramento State. 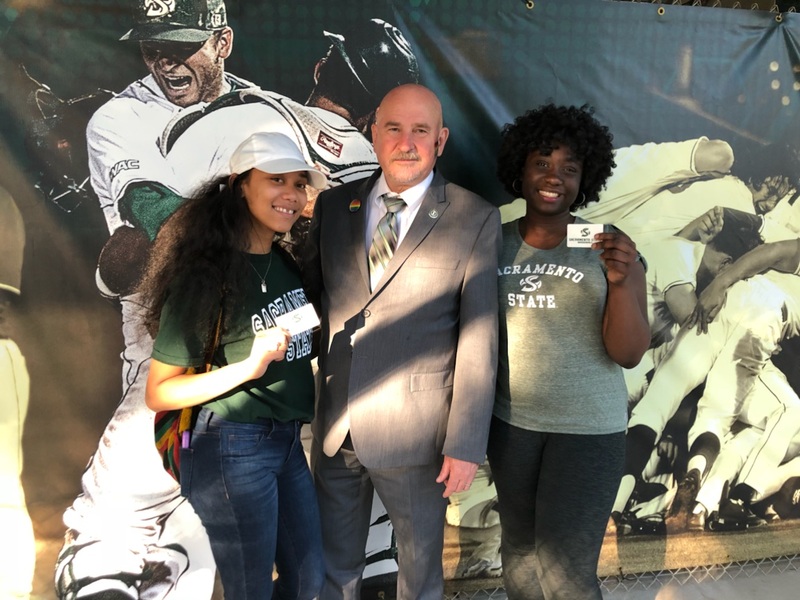 Sacramento State would pay us somewhere between $10-$100,000 based on the size of their stadium. And then when they have multiple ticket companies, let's say Ticket Master, Stub Hub or whoever, any time a ticket's resold and moved through that ecosystem, we take 10 cents from those ticket companies. Tim Draper: But you don't get any money from food and beverage or merchandise? Harold Hughes: Not yet but we do think that we'll be able to build that out down the road. Bill Draper: How far along are you in dollars and cents right now? Harold Hughes: Yeah so we have two customers and we have over $100,000 in revenue in the last 18 months. Our blockchain is fully up and running. We have 558,000 tickets on our blockchain so we're able to validate those as they move through the ecosystem and we have a team that's ready to build. Bill Draper: But that's not very much related to all you're doing. What's next year? What are you projecting? Harold Hughes: We've projected next year we'll be closer to $1.2 million. With the licenses that we're getting, in the beginning was really investing deeply into the tech. Bill Draper: What are your costs? Out of a million two revenue next year, what do you expect? Harold Hughes: Our costs should be just north of $400,000. Bill Draper: So it's really high margin? Harold Hughes: Yeah. Huge high margin business because we're putting the investment into the software to make it super simple for folks. Bill Draper: Who else is on your team? Harold Hughes: We have a CTO who's based in the Bay Area, I'm the CEO and went to Clemson University. I studied economics and political science. And our COO is our rockstar from the sales and technology space. We both grew up in the distribution space. So asset management and barcoding and RFID. We're approaching ticketing from an asset standpoint. We want to be able to track it from it's inception to delivery and consumption. We've added some awesome advisors like Orlando Jones, entertainer and tech investor and most recently Melly Price who exited a company called Front Gate to Live Nation. So now we're building those pillars into our team and we're looking for that next step. Tim Draper: I once got a fake ticket. What was great about it was they saw that it was a fake ticket and they saw that I had paid for the fake ticket, a lot of money. And they said, "Well, it's okay." They kind of let it happen. It would have been better to know for sure if that was a real ticket. Harold Hughes: Yeah we think validity is super important when it comes to this stuff and so we want to prevent that. We want more families and more friends to have better experiences at live events. And having those tickets be authentic is one piece. Being able to do great touchpoints with fan engagement and marketing before, during and after the event we think changes everything. Tim Draper: Well thank you very much for coming in to meet the Drapers. Harold Hughes: Thank you very much. Have a good one. Harold Hughes: It's so awesome to be here with the Drapers, a legendary Silicon Valley family to see how they started and being able to create generational impact, that's what I want to be able to do for my family. I love the fact that we're given the opportunity for viewers to get in on crowd equity because this is gonna give them an opportunity to change their generation and I'm loving that we're going to be one of those platforms that they can consider. Tim Draper: So we'll see what our judges thought of Bandwagon. Polly, what did you think of Bandwagon? Bill Draper: The fact that he knows how to reach them later, I think is probably the most important part. Polly: Is a really big deal, yeah. Tim Draper: Yeah that he ends up with everybody's identity. Polly: That brings me to the one thing that bothers me, too, and that's the fear grabbing people's identity. I know that they'd be willing, there's just something about that. Tim Draper: Yeah but if you're a Matt and Alex fan, your kids are probably not gonna tell you when their next concert is. The benefit of giving a company your data is that you get better information yourself. And I don't know how he's going to get all of those people signed up, Stub Hub and Ticket Master. Bill Draper: A couple of big ones. Tim Draper: But the big ones are the hardest to get. Bill Draper: That's right. And they're going to say, "What's in it for us?" Tim Draper: So he'll have to start small and build up. I should have asked him about that. Polly: Well what's in it for them is they're going to save a billion dollars worth of fraudulent tickets because they're the ones that have to eat the cost. Bill Draper: If there's really that much fraud. Tim Draper: Well let's go to our Oracle. Let's see what vibes the crystal ball sends us about Bandwagon. Are we going to get on the Bandwagon? Or are we going to be off the Bandwagon. Okay, everybody got it? Tim Draper: You can do this at home too, thumb's up, thumb's down, thumb's all around. Ready? Thumb's up, thumb's down, thumb's all around. Interesting. We had sort of a very interesting mix this time. Tim Draper: My thumb is sort of three quarters. Polly: Can you do that? Tim Draper: I just did. So it's up to you, audience. You like that guy and you want to go back him, you can do it. You can go to meetthedrapers.com and you can invest. In order for Bandwagon to compete and grow, it must attract, recruit, retain and develop the necessary personnel who have the needed experience. The development and commercialization of our products/services is highly competitive. We face competition with respect to any products that we may seek to develop or commercialize in the future. Blockchain technology is nascent today and is becoming more widely adopted by startups as well as several Fortune 500 companies. Our competitors include major companies worldwide. Many of our competitors have significantly greater financial, technical and human resources than we have and superior expertise in research and development and marketing approved SaaS products and thus may be better equipped than us to develop and commercialize blockchain technology solutions. These competitors also compete with us in recruiting and retaining qualified personnel and acquiring technologies. Smaller or early stage companies may also prove to be significant competitors, particularly through collaborative arrangements with large and established companies. Accordingly, our competitors may commercialize products more rapidly or effectively than we are able to, which would adversely affect our competitive position, the likelihood that our solutions will achieve initial market acceptance and our ability to generate meaningful additional revenues from our products. Through our operations, we collect and store certain personal information that our customers provide to purchase products or services, enroll in promotional programs, register on our website or our app, or otherwise communicate and interact with us. We may share information about such persons with vendors that assist with certain aspects of our business. Security could be compromised and confidential customer or business information misappropriated. Loss of customer or business information could disrupt our operations, damage our reputation, and expose us to claims from customers, financial institutions, payment card associations and other persons, any of which could have an adverse effect on our business, financial condition and results of operations. In addition, compliance with tougher privacy and information security laws and standards may result in significant expense due to increased investment in technology and the development of new operational processes. These are standard risks that most technology companies face but we want to be transparent. Our blockchain technology and our B2B means that we will be storing our customer's customer information, as well. Technology companies, including many of the Company's competitors, frequently enter into litigation based on allegations of patent infringement or other violations of intellectual property rights. In addition, patent holding companies seek to monetize patents they have purchased or otherwise obtained. As the Company grows, the intellectual property rights claims against it will likely increase. The Company intends to vigorously defend infringement actions in court and before the U.S. International Trade Commission. The plaintiffs in these actions frequently seek injunctions and substantial damages. Regardless of the scope or validity of such patents or other intellectual property rights, or the merits of any claims by potential or actual litigants, the Company may have to engage in protracted litigation. If the Company is found to infringe one or more patents or other intellectual property rights, regardless of whether it can develop non-infringing technology, it may be required to pay substantial damages or royalties to a third-party, or it may be subject to a temporary or permanent injunction prohibiting the Company from marketing or selling certain products. In certain cases, the Company may consider the desirability of entering into licensing agreements, although no assurance can be given that such licenses can be obtained on acceptable terms or that litigation will not occur. These licenses may also significantly increase the Company's operating expenses. Regardless of the merit of particular claims, litigation may be expensive, time-consuming, disruptive to the Company's operations and distracting to management. In recognition of these considerations, the Company may enter into arrangements to settle litigation. If one or more legal matters were resolved against the Company's consolidated financial statements for that reporting period could be materially adversely affected. Further, such an outcome could result in significant compensatory, punitive or trebled monetary damages, disgorgement of revenue or profits, remedial corporate measures or injunctive relief against the Company that could adversely affect its financial condition and results of operations. Through our partners, customers, and our direct to customer platform, we collect and store sensitive data, including intellectual property, our proprietary business information and that of our customers, business partners, and personally identifiable information of our customers, their customers, and employees, in our data centers and on our networks. The secure processing, storing, maintenance, and transmission of this information is critical to our operations and business strategy. Despite our security measures, our information technology and infrastructure may be vulnerable to attacks by hackers or breached due to employee error, malfeasance or other disruptions. Any such breach could compromise our networks and the information stored there could be accessed, publicly disclosed, lost or stolen. Any such access, disclosure or other loss of information could result in legal claims or proceedings, liability under laws that protect the privacy of personal information, and regulatory penalties, disrupt our operations and the services we provide to customers, and damage our reputation, and cause a loss of confidence in our products and services, which could adversely affect our business/operating margins, revenues and competitive position. The secure processing, maintenance and transmission of this information is critical to our operations and business strategy, and we devote significant resources to protecting our information cryptographically on an enterprise grade blockchain, hyperledger fabric. The steps taken and the expenses associated with protecting our information could reduce our operating margins. An uncertain regulatory framework governing protection of personal data exists and has the potential to carry significant financial penalties. Regulation (EU) 2016/679 of the European Parliament, commonly known as the General Data Protection Regulation ('GDPR') was adopted on April 27, 2016 and is effective as of May 25, 2018. The GDPR governs the handling, processing and exportation of personally identifiable data within or from the European Economic Area ('EEA'). The GDPR imposes stringent requirements in connection with the acceptance and retention of personal data, with violations of the GDPR being subject to substantial financial penalties. Little to no guidance has been provided by any regulatory agency within the EEA with respect to what will be deemed a violation of the GDPR, and accordingly, there can be no certainty that any business enterprise with exposure to the EEA, such as the Company, will not be deemed, even by incidental omission or inadvertent error, to be in violation of GDPR and financially penalized in an amount that could cause a material adverse effect on its business and ability to continue as an on-going concern. An intentional or unintentional disruption, failure, misappropriation or corruption of our network and information systems could severely affect our business. Such an event might be caused by computer hacking, computer viruses, worms and other destructive or disruptive software, 'cyber attacks' and other malicious activity, as well as natural disasters, power outages, terrorist attacks and similar events. Such events could have an adverse impact on us and our customers, including degradation of service, service disruption, excessive call volume to call centers and damage to our plant, equipment and data. In addition, our future results could be adversely affected due to the theft, destruction, loss, misappropriation or release of confidential customer data or intellectual property. It is not uncommon for blockchain and crypto companies to be held for ransom which may slow down our development and put us at risk. Operational or business delays may result from the disruption of network or information systems and the subsequent remediation activities. Moreover, these events may create negative publicity resulting in reputation or brand damage with customers. The Company's success depends on the experience and skill of the board of directors, its executive officers and key employees. In particular, the Company is dependent on Greg Smith, Kwame Anku, Harold Hughes, Hampton Smith, and Arshad Syed who are a Director, Director, CEO, Director of Data Architecture & Services, and CTO, respectively, of the Company. The Company has or intends to enter into employment agreements with these individuals although there can be no assurance that it will do so or that they will continue to be employed by the Company for a particular period of time. The loss of any one of the aforementioned individuals or any member of the board of directors or executive officer could harm the Company's business, financial condition, cash flow and results of operations. We rely on various intellectual property rights, including licenses in order to operate our business. Such intellectual property rights, however, may not be sufficiently broad or otherwise may not provide us a significant competitive advantage. In addition, the steps that we have taken to maintain and protect our intellectual property may not prevent it from being challenged, invalidated, circumvented or designed-around, particularly in countries where intellectual property rights are not highly developed or protected. In some circumstances, enforcement may not be available to us because an infringer has a dominant intellectual property position or for other business reasons, or countries may require compulsory licensing of our intellectual property. Our failure to obtain or maintain intellectual property rights that convey competitive advantage, adequately protect our intellectual property or detect or prevent circumvention or unauthorized use of such property, could adversely impact our competitive position and results of operations. We also rely on nondisclosure and noncompetition agreements with employees, consultants and other parties to protect, in part, trade secrets and other proprietary rights. There can be no assurance that these agreements will adequately protect our trade secrets and other proprietary rights and will not be breached, that we will have adequate remedies for any breach, that others will not independently develop substantially equivalent proprietary information or that third parties will not otherwise gain access to our trade secrets or other proprietary rights. As we expand our business, protecting our intellectual property will become increasingly important. The protective steps we have taken may be inadequate to deter our competitors from using our proprietary information. In order to protect or enforce our patent rights, we may be required to initiate litigation against third parties, such as infringement lawsuits. Also, these third parties may assert claims against us with or without provocation. These lawsuits could be expensive, take significant time and could divert management's attention from other business concerns. The law relating to the scope and validity of claims in the technology field in which we operate is still evolving and, consequently, intellectual property positions in our industry are generally uncertain. We cannot assure you that we will prevail in any of these potential suits or that the damages or other remedies awarded, if any, would be commercially valuable. From time to time, third parties may claim that one or more of our products or services infringe their intellectual property rights. Any dispute or litigation regarding patents or other intellectual property could be costly and time-consuming due to the complexity of our technology and the uncertainty of intellectual property litigation and could divert our management and key personnel from our business operations. A claim of intellectual property infringement could force us to enter into a costly or restrictive license agreement, which might not be available under acceptable terms or at all, could require us to redesign our products, which would be costly and time-consuming, and/or could subject us to an injunction against development and sale of certain of our products or services. We may have to pay substantial damages, including damages for past infringement if it is ultimately determined that our product candidates infringe a third party's proprietary rights. Even if these claims are without merit, defending a lawsuit takes significant time, may be expensive and may divert management's attention from other business concerns. Any public announcements related to litigation or interference proceedings initiated or threatened against us could cause our business to be harmed. Our intellectual property portfolio may not be useful in asserting a counterclaim, or negotiating a license, in response to a claim of intellectual property infringement. In certain of our businesses we rely on third party intellectual property licenses and we cannot ensure that these licenses will be available to us in the future on favorable terms or at all. The Company is dependent on Greg Smith, Kwame Anku, Harold Hughes, Hampton Smith, and Arshad Syed in order to conduct its operations and execute its business plan, however, the Company has not purchased any insurance policies with respect to those individuals in the event of their death or disability. Therefore, if Greg Smith, Kwame Anku, Harold Hughes, Hampton Smith, or Arshad Syed die or become disabled, the Company will not receive any compensation to assist with such person's absence. The loss of such persons could negatively affect the Company and its operations. We are subject to income taxes as well as non-income based taxes, such as payroll, sales, use, value-added, net worth, property and goods and services taxes, in both the U.S. and various foreign jurisdictions as our technology solutions can (and will) address global markets. Significant judgment is required in determining our provision for income taxes and other tax liabilities. In the ordinary course of our business, there are many transactions and calculations where the ultimate tax determination is uncertain. There is no assurance that the final determination of tax audits or tax disputes will not be different from what is reflected in our income tax provisions, expense amounts for non-income based taxes and accruals. Any material differences could have an adverse effect on our financial position and results of operations in the period or periods for which determination is made. New technologies may make our products and services obsolete or unneeded. New and emerging technological advances, such as mobile computing devices that allow consumers to view content may adversely impact or eliminate the demand for our products and services. The increasing availability of content on such devices, the improved video quality of the content on such devices and faster wireless delivery speeds may make individuals less likely to purchase our services. Our success can depend on new product development. The entertainment and communications industry is ever-changing as new technologies are introduced. Advances in technology, such as new video formats, downloading or alternative methods of product delivery and distribution channels, such as the Internet, or certain changes in consumer behavior driven by these or other technologies and methods of delivery, could have a negative effect on our business. These changes could lower cost barriers for our competitors desiring to enter into, or expand their presence in, the interactive services business. Increased competition may adversely affect our business and results of operations. We face risks relating to competition for the leisure time and discretionary spending of audiences, which has intensified in part due to advances in technology and changes in consumer expectations and behavior. Our business is subject to risks relating to increasing competition for the leisure time and discretionary spending of consumers. We compete with all other sources of entertainment and information delivery. Technological advancements, such as new video formats and Internet streaming and downloading of programming that can be viewed on televisions, computers and mobile devices have increased the number of entertainment and information delivery choices available to consumers and intensified the challenges posed by audience fragmentation. The increasing number of choices available to audiences, including low-cost or free choices, could negatively impact consumer demand for our products and services. Our failure to effectively anticipate or adapt to new technologies and changes in consumer expectations and behavior could significantly adversely affect our competitive position and its business and results of operations. Piracy of the Company's content may decrease the revenues received from the sale of our content and adversely affect our businesses. The piracy of our content, products and other intellectual property poses significant challenges for us. Technological developments, such as the proliferation of cloud-based storage and streaming, increased broadband Internet speed and penetration and increased speed of mobile data transmission have made it easier to create, transmit, distribute and store high quality unauthorized copies of content in unprotected digital formats, which has in turn encouraged the creation of highly scalable businesses that facilitate, and in many instances financially benefit from, such piracy. Piracy is particularly prevalent in many parts of the world that lack effective copyright and technical legal protections or enforcement measures, and illegitimate operators based in these parts of the world can attract viewers from anywhere in the world. The proliferation of unauthorized copies and piracy of the Company's content, products and intellectual property or the products it licenses from others could result in a reduction of the revenues that the Company receives from the legitimate sale, licensing and distribution of its content and products. The Company devotes substantial resources to protecting its content, products and intellectual property, but there can be no assurance that the Company's efforts to enforce its rights and combat piracy will be successful. Indemnity provisions in various agreements potentially expose us to substantial liability for intellectual property infringement and other losses. Our agreements with advertisers, advertising agencies, customers and other third parties may include indemnification provisions under which we agree to indemnify them for losses suffered or incurred as a result of claims of intellectual property infringement, damages caused by us to property or persons, or other liabilities relating to or arising from our products, services or other contractual obligations. The term of these indemnity provisions generally survives termination or expiration of the applicable agreement. Large indemnity payments would harm our business, financial condition and results of operations. In addition, any type of intellectual property lawsuit, whether initiated by us or a third party, would likely be time consuming and expensive to resolve and would divert management's time and attention. We rely heavily on our technology and intellectual property, but we may be unable to adequately or cost-effectively protect or enforce our intellectual property rights, thereby weakening our competitive position and increasing operating costs. To protect our rights in our services and technology, we rely on a combination of copyright and trademark laws, patents, trade secrets, confidentiality agreements with employees and third parties, and protective contractual provisions. We also rely on laws pertaining to trademarks and domain names to protect the value of our corporate brands and reputation. Despite our efforts to protect our proprietary rights, unauthorized parties may copy aspects of our services or technology, obtain and use information, marks, or technology that we regard as proprietary, or otherwise violate or infringe our intellectual property rights. In addition, it is possible that others could independently develop substantially equivalent intellectual property. If we do not effectively protect our intellectual property, or if others independently develop substantially equivalent intellectual property, our competitive position could be weakened. Effectively policing the unauthorized use of our services and technology is time-consuming and costly, and the steps taken by us may not prevent misappropriation of our technology or other proprietary assets. The efforts we have taken to protect our proprietary rights may not be sufficient or effective, and unauthorized parties may copy aspects of our services, use similar marks or domain names, or obtain and use information, marks, or technology that we regard as proprietary. We may have to litigate to enforce our intellectual property rights, to protect our trade secrets, or to determine the validity and scope of others' proprietary rights, which are sometimes not clear or may change. Litigation can be time consuming and expensive, and the outcome can be difficult to predict. We rely on agreements with third parties to provide certain services, goods, technology, and intellectual property rights necessary to enable us to implement some of our applications. Our ability to implement and provide our applications and services to our clients depends, in part, on services, goods, technology, and intellectual property rights owned or controlled by third parties. These third parties may become unable to or refuse to continue to provide these services, goods, technology, or intellectual property rights on commercially reasonable terms consistent with our business practices, or otherwise discontinue a service important for us to continue to operate our applications. If we fail to replace these services, goods, technologies, or intellectual property rights in a timely manner or on commercially reasonable terms, our operating results and financial condition could be harmed. In addition, we exercise limited control over our third-party vendors, which increases our vulnerability to problems with technology and services those vendors provide. If the services, technology, or intellectual property of third parties were to fail to perform as expected, it could subject us to potential liability, adversely affect our renewal rates, and have an adverse effect on our financial condition and results of operations. We depend on profitable royalty-bearing licenses of our technology, and if we are unable to maintain and generate such license agreements, then we may not be able to sustain existing levels of revenue or increase revenue. We depend upon the identification, investment in and license of new patents for our revenues. If we are unable to maintain such license agreements and to continue to develop new license arrangements, then we may not have the resources to identify new technology-based opportunities for future patents and inventions in order to maintain sustainable revenue and growth. Our current or future license agreements may not provide the volume or quality of royalty revenue to sustain our business. In some cases, other technology sources may compete against us as they seek to license and commercialize technologies. These and other strategies may reduce the number of technology sources and potential clients to whom we can market our services. Our inability to maintain current relationships and sources of technology or to secure new licensees, may have a material adverse effect on our business and results of operations. If we fail to maintain or expand our relationships with our suppliers, in some cases single-source suppliers, we may not have adequate access to new or key technology necessary for our products, which may impair our ability to deliver leading-edge products. In addition to the technologies we develop, our suppliers develop product innovations at our direction that are requested by our customers. If we are not able to maintain or expand our relationships with our suppliers or continue to leverage their research and development capabilities to develop new technologies desired by our customers, our ability to deliver leading-edge products in a timely manner may be impaired and we could be required to incur additional research and development expenses. Also, disruption in our supply chain or the need to find alternative suppliers could impact the costs and/or timing associated with procuring necessary products, components and services. Similarly, suppliers have operating risks that could impact our business. These risks could create product time delays, invoicing problems, and other operational difficulties. We must acquire or develop new products, evolve existing ones, address any defects or errors, and adapt to technology change. Technical developments, client requirements, programming languages, and industry standards change frequently in our markets. As a result, success in current markets and new markets will depend upon our ability to enhance current products, address any product defects or errors, acquire or develop and introduce new products that meet client needs, keep pace with technology changes, respond to competitive products, and achieve market acceptance. Product development requires substantial investments for research, refinement, and testing. We may not have sufficient resources to make necessary product development investments. We may experience technical or other difficulties that will delay or prevent the successful development, introduction, or implementation of new or enhanced products. We may also experience technical or other difficulties in the integration of acquired technologies into our existing platform and applications. Inability to introduce or implement new or enhanced products in a timely manner could result in loss of market share if competitors are able to provide solutions to meet customer needs before we do, give rise to unanticipated expenses related to further development or modification of acquired technologies as a result of integration issues, and adversely affect future performance. Our failure to deliver high quality server solutions could damage our reputation and diminish demand for our products, and subject us to liability. Our customers require our products to perform at a high level, contain valuable features and be extremely reliable. The design of our server solutions is sophisticated and complex, and the process for manufacturing, assembling and testing our server solutions is challenging. Occasionally, our design or manufacturing processes may fail to deliver products of the quality that our customers require. New flaws or limitations in our products may be detected in the future. Part of our strategy is to bring new products to market quickly, and first-generation products may have a higher likelihood of containing undetected flaws. If our customers discover defects or other performance problems with our products, our customers' businesses, and our reputation, may be damaged. Customers may elect to delay or withhold payment for defective or underperforming products, request remedial action, terminate contracts for untimely delivery, or elect not to order additional products. If we do not properly address customer concerns about our products, our reputation and relationships with our customers may be harmed. In addition, we may be subject to product liability claims for a defective product. Any of the foregoing could have an adverse effect on our business and results of operations. The products we sell are advanced, and we need to rapidly and successfully develop and introduce new products in a competitive, demanding and rapidly changing environment. To succeed in our intensely competitive industry, we must continually improve, refresh and expand our product and service offerings to include newer features, functionality or solutions, and keep pace with price-to-performance gains in the industry. Shortened product life cycles due to customer demands and competitive pressures impact the pace at which we must introduce and implement new technology. This requires a high level of innovation by both our software developers and the suppliers of the third-party software components included in our systems. In addition, bringing new solutions to the market entails a costly and lengthy process, and requires us to accurately anticipate customer needs and technology trends. We must continue to respond to market demands, develop leading technologies and maintain leadership in analytic data solutions performance and scalability, or our business operations may be adversely affected. We must also anticipate and respond to customer demands regarding the compatibility of our current and prior offerings. These demands could hinder the pace of introducing and implementing new technology. Our future results may be affected if our products cannot effectively interface and perform well with software products of other companies and with our customers' existing IT infrastructures, or if we are unsuccessful in our efforts to enter into agreements allowing integration of third-party technology with our database and software platforms. Our efforts to develop the interoperability of our products may require significant investments of capital and employee resources. In addition, many of our principal products are used with products offered by third parties and, in the future, some vendors of non-Company products may become less willing to provide us with access to their products, technical information and marketing and sales support. As a result of these and other factors, our ability to introduce new or improved solutions could be adversely impacted and our business would be negatively affected. Industry consolidation may result in increased competition, which could result in a loss of customers or a reduction in revenue. Some of our competitors have made or may make acquisitions or may enter into partnerships or other strategic relationships to offer more comprehensive services than they individually had offered or achieve greater economies of scale. In addition, new entrants not currently considered to be competitors may enter our market through acquisitions, partnerships or strategic relationships. We expect these trends to continue as companies attempt to strengthen or maintain their market positions. The potential entrants may have competitive advantages over us, such as greater name recognition, longer operating histories, more varied services and larger marketing budgets, as well as greater financial, technical and other resources. The companies resulting from combinations or that expand or vertically integrate their business to include the market that we address may create more compelling service offerings and may offer greater pricing flexibility than we can or may engage in business practices that make it more difficult for us to compete effectively, including on the basis of price, sales and marketing programs, technology or service functionality. These pressures could result in a substantial loss of our customers or a reduction in our revenue. Our business could be negatively impacted by cyber security threats, attacks and other disruptions. Like others in our industry, we continue to face advanced and persistent attacks on our information infrastructure where we manage and store various proprietary information and sensitive/confidential data relating to our operations. These attacks may include sophisticated malware (viruses, worms, and other malicious software programs) and phishing emails that attack our products or otherwise exploit any security vulnerabilities. These intrusions sometimes may be zero-day malware that are difficult to identify because they are not included in the signature set of commercially available antivirus scanning programs. Experienced computer programmers and hackers may be able to penetrate our network security and misappropriate or compromise our confidential information or that of our customers or other third-parties, create system disruptions, or cause shutdowns. Additionally, sophisticated software and applications that we produce or procure from third-parties may contain defects in design or manufacture, including 'bugs' and other problems that could unexpectedly interfere with the operation of the information infrastructure. A disruption, infiltration or failure of our information infrastructure systems or any of our data centers as a result of software or hardware malfunctions, computer viruses, cyber attacks, employee theft or misuse, power disruptions, natural disasters or accidents could cause breaches of data security, loss of critical data and performance delays, which in turn could adversely affect our business. If we do not respond to technological changes or upgrade our websites and technology systems, our growth prospects and results of operations could be adversely affected. To remain competitive, we must continue to enhance and improve the functionality and features of our websites and technology infrastructure. As a result, we will need to continue to improve and expand our hosting and network infrastructure and related software capabilities. These improvements may require greater levels of spending than we have experienced in the past. Without such improvements, our operations might suffer from unanticipated system disruptions, slow application performance or unreliable service levels, any of which could negatively affect our reputation and ability to attract and retain customers and contributors. Furthermore, in order to continue to attract and retain new customers, we are likely to incur expenses in connection with continuously updating and improving our user interface and experience. We may face significant delays in introducing new services, products and enhancements. If competitors introduce new products and services using new technologies or if new industry standards and practices emerge, our existing websites and our proprietary technology and systems may become obsolete or less competitive, and our business may be harmed. In addition, the expansion and improvement of our systems and infrastructure may require us to commit substantial financial, operational and technical resources, with no assurance that our business will improve. The Company depends on the performance of distributors, carriers and other resellers. The Company distributes its products through cellular network carriers, many of whom distribute products from competing manufacturers. The Company also sells its products in most of its major markets directly to enterprise customers and small and mid-sized businesses. The Units of Crowd SAFE (Simple Agreement for Future Equity) will not be freely tradable until one year from the initial purchase date. Although the Units of Crowd SAFE may be tradable under federal securities law, state securities regulations may apply and each Purchaser should consult with his or her attorney. Prior to the Offering the Company's current owners of 20% or more beneficially own up to 54.0% of the Company. Subject to any fiduciary duties owed to our other owners or investors under Delaware law, these owners may be able to exercise significant influence over matters requiring owner approval, including the election of directors or managers and approval of significant Company transactions, and will have significant control over the Company's management and policies. Some of these persons may have interests that are different from yours. For example, these owners may support proposals and actions with which you may disagree. The concentration of ownership could delay or prevent a change in control of the Company or otherwise discourage a potential acquirer from attempting to obtain control of the Company, which in turn could reduce the price potential investors are willing to pay for the Company. In addition, these owners could use their voting influence to maintain the Company's existing management, delay or prevent changes in control of the Company, or support or reject other management and board proposals that are subject to owner approval. The Company may extend the Offering deadline beyond what is currently stated herein. This means that your investment may continue to be held in escrow while the Company attempts to raise the Minimum Amount even after the Offering deadline stated herein is reached. Your investment will not be accruing interest during this time and will simply be held until such time as the new Offering deadline is reached without the Company receiving the Minimum Amount, at which time it will be returned to you without interest or deduction, or the the Company receives the Minimum Amount, at which time it will be released to the Company to be used as set forth herein. Upon or shortly after release of such funds to the Company, the Securities will be issued and distributed to you. Purchasers will not have the right to vote upon matters of the Company even if and when their Securities are converted into CF Shadow Securities. Upon such conversion, CF Shadow Securities will have no voting rights and even in circumstances where a statutory right to vote is provided by state law, the CF Shadow Security holders are required to vote with the majority of the security holders in the new round of equity financing upon which the Securities were converted. For example, if the Securities are converted upon a round offering Series B Preferred Shares, the Series B-CF Shadow Security holders will be required to vote the same way as a majority of the Series B Preferred Share holders vote. Thus, Purchasers will never be able to freely vote upon any director or other matters of the Company. In a dissolution or bankruptcy of the Company, Purchasers of Securities which have not been converted will be entitled to distributions as if they were common stock holders. This means that such Purchasers will be at the lowest level of priority and will only receive distributions once all creditors as well as holders of more senior securities, including any preferred stock holders, have been paid in full. If the Securities have been converted into CF Shadow Securities, the Purchasers will have the same rights and preferences (other than the ability to vote) as the holders of the Securities issued in the equity financing upon which the Securities were converted. The Company may never receive a future equity financing or elect to convert the Securities upon such future financing. In addition, the Company may never undergo a liquidity event such as a sale of the Company or an IPO. If neither the conversion of the Securities nor a liquidity event occurs, the Purchasers could be left holding the Securities in perpetuity. The Securities have numerous transfer restrictions and will likely be highly illiquid, with no secondary market on which to sell them. The Securities are not equity interests, have no ownership rights, have no rights to the Company's assets or profits and have no voting rights or ability to direct the Company or its actions. In addition to the risks listed above, businesses are often subject to risks not foreseen or fully appreciated by the management. It is not possible to foresee all risks that may affect us. Moreover, the Company cannot predict whether the Company will successfully effectuate the Company's current business plan. Each prospective Purchaser is encouraged to carefully analyze the risks and merits of an investment in the Securities and should take into consideration when making such analysis, among other, the Risk Factors discussed above. THE SECURITIES OFFERED INVOLVE A HIGH DEGREE OF RISK AND MAY RESULT IN THE LOSS OF YOUR ENTIRE INVESTMENT. ANY PERSON CONSIDERING THE PURCHASE OF THESE SECURITIES SHOULD BE AWARE OF THESE AND OTHER FACTORS SET FORTH IN THIS FORM C AND SHOULD CONSULT WITH HIS OR HER LEGAL, TAX AND FINANCIAL ADVISORS PRIOR TO MAKING AN INVESTMENT IN THE SECURITIES. THE SECURITIES SHOULD ONLY BE PURCHASED BY PERSONS WHO CAN AFFORD TO LOSE ALL OF THEIR INVESTMENT. I invested because I believe in BANDWAGON's mission to influence the future of ticketing, as well as their value proposition for artists, teams, and fans. I invested because I see potential in the bandwagon staff and product. I would like to see the company succeed. It's an excellent idea and is backed by the right people. Harold's brother Steven is a good friend of mine and I want to see another Black founder win! I invested because I believe in Harold and his work ethic! He has the smarts, passion and personality to make Bandwagon a major success! I invested because Bandwagon has a great idea and has grown tremendously since their first launch. They're only getting bigger and starting to get a lot more customers buying into their product. The best is yet to come! I invested because I love to see companies in our black community grow and if I can help with my money, I'm in! I also invested because it's awesome to see blockchain used this way. Because my friend Harold is a visionary and disruptor. It’s an honor to support his dream and help his team continue to build Bandwagon. It’s my privilege to support Harold! I believe in his vision and know that he will do amazing things with it! This is a great way to ensure no one ever gets scammed for tickets. Because I trust Harold's drive and support who he is as a person, and wish him only success. Can't wait to continue watching this grow! Bandwagon has the opportunity to disrupt the relationship we have with technology and events. I invested because I believe they will. Harold Hughes gave great answers to investor questions in the Pitch podcast. He also followed up on getting more help for Bandwagon. I envision Bandwagon being applied to many other places similar to a "live version" of Groupon or Open Table. "Just listened to your founder rock it on THE PITCH podcast. I invested based on Harold's competency during his pitch and a feeling that you guys have got this. The ethos of Bandwagon + Backstage Capital = inspired investor from New Zealand. I went to undergrad with Harold and many members of the bandwagon team, so I know they are high caliber individuals. I believe in their ability to take this concept and make it a platform that can be utilized globally. I heard them on The Pitch on NPR and felt this is going to be a good business. Actually a great business and Harold seems like a great leader. Founder's determination to bring to market a great idea! over the years i have lost $10-20k in ticket fraud. i am sick and tired of this crime going unpunished. i see this company making a difference. I think that it is necessary technology in the near future. I think Bandwagon is to make selling tickets more easy and safe. To protect the livelihoods of performers and their fans.. I have been attending sports and concert events for 30 years. The fan needs better options to ensure an enjoyable experience. I think this is a great idea. It can help many people. I've watched how hard the team has been working over the last couple of years and believe in the vision of Harold and his team. Excellent pitch (heard you on The Pitch) and agree that the system is broken. Your idea is sound and I wanted to follow and see how you proceed. Bandwagon has a good business model and potentially an industry changing process. I support small business, it is the life giving force of our economy. I believe in Harold Hughes. 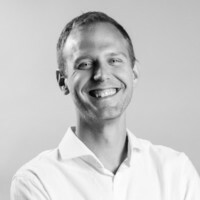 He's surrounded himself with great people, and his tireless work ethic, internal drive, and vision for block-chain and ticketing fill a much needed void in the market. Best of luck to you and your team, Harold! Funny story-I met BW's CEO in an Uber Pool from Manhattan to Brooklyn. We chatted on business, his night, and where to get that late night bite we both needed. Long story short, I'm an investor in BW and excited to be apart of their bright future! I see potential in the company. I'm a frequent purchaser of tickets for shows and events on secondary markets and feel there should be an easier and safer way to transfer tickets. We had our Vivid tickets taken when we went to see Hamilton and see this as a way of not letting that happen to other people! I believe in the overall scope of the view of sports fan spending and insights Bandwagon provides and how it will enhance the experience moving forward. I think this is a great idea. I like the passion behind it and think this has a lot of potential. Harold has an amazing product that I foresee being the leading technology in ticket authentication. As a fellow black man I fully support black and minority owned businesses! I believe in Howard and his team. I want to partner with him in the future. I think Bandwagon will be an unqualified success. I believe blockchain tech is the future and your business is a good idea. Supporting founders of color in campaigns such as these are crucial to the startup ecosystem at large! Great ideas, such as Bandwagon, shouldn't just rely on large VC/Angel funders to help them grow but the community as well! Proud to be a Funder! I believe in your vision ,ride on my ppl,am with you. 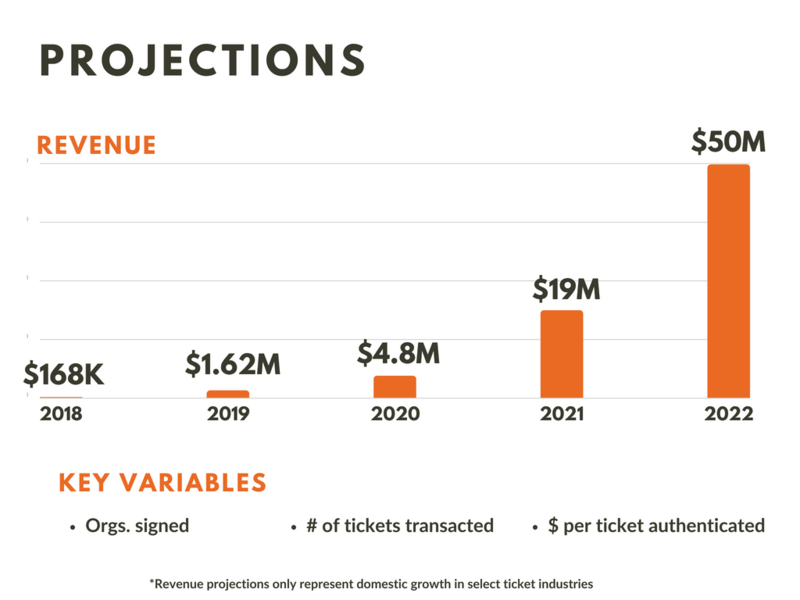 I believe in the vision, direction, and passion of Harold Hughes of solving a problem that prominent in the ticketing industry. I believe in sport tech! Bandwagon is shifting the traditional and often limiting world of ticketing. Join me in investing in this innovative team of winners! The founder is a winner! I believe in his commitment to succeed and I know he will win! I believe in the founder. One because I think this i a great idea as well as solution to an issue that hasn't gained too much attention. Secondly as a black male I love to see us doing great things and we don't support one another enough as we should. My relationship with Kwame Anku. I've seen and experienced event ticket fraud first hand and believe that technology like BANDWAGON can seamlessly plug into major ticketing marketplaces to add the layer of security currently missing to solidify trust. I’m an avid sports fan but more so, I believe in the founder and his vision for changing the fan’s game day experience using technology. I’ve hopped on the Bandwagon Fan Club! I invested because I believe that this will change the way we buy tickets & protect the consumer from fraudulent tickets. Investing in protection of ticket security was one of the best plays to make in this online ticket marketplace world. I believe Bandwagon and their founder have a promising product developing here. 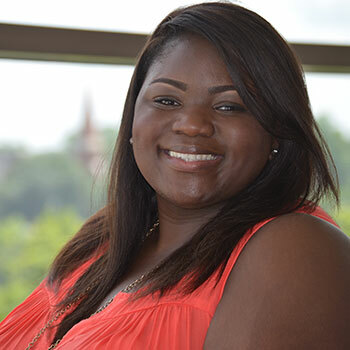 I saw that it is black founders and I want to do whatever I can do to help and I think its an excellent innovation. Simply put I believe in Harold & his vision to change the Ticket Industry. I recall a conversation years ago when Harold questioned the risk of Entrepreneurship. I'm so proud he took the leap of faith. I want to ensure my Brother becomes successful. I heard about your company on The Pitch podcast. Harold impressed me, he knew his business, and seemed brilliant. I wanted to have some small part in following his vision. I like to support my friends as much as possible. I've read, I saw and I feel this startup will do great. I believe that Bandwagon’s technology, and approach, provides solutions to and opportunities that transcend licensing fees and ticket authentication. I have experienced what Bandwagon was created to prevent and I strongly believe in the Founder and his potential to create change for this issue. Because people deserve to afford fun safely. I invested because BANDWAGON addresses a real need: fans deserve great events without sinking feelings of insecurity and doubt about their ticketing experience. Plus, Black geeks rule! I believe in Harold and his company as a fellow friend and Clemson grad. I also had the desire to support a black owned company. Onward and upward my friend! I invested because I believe in the company’s mission. 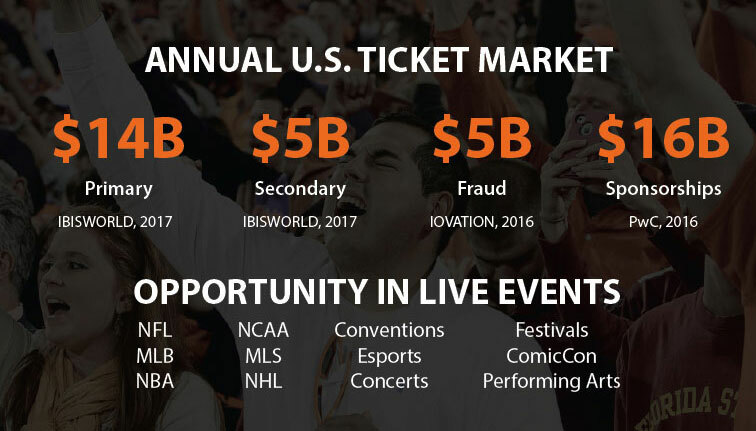 As a avid sports fan who attends live events, fraud is a concern for many consumers and BANDWAGON is on a mission to remove that concern with the latest technology. I see the vision, and like the way the data will be used to 'personalize' the experience for those that are ACTUALLY using the ticket, as well as the security of knowing that their purchase is being secured. Steven is my dawg and his familia is mi familia! I believe in BANDWAGON’s mission and their team. I’ve watched Harold build this business over the years and his commitment to BANDWAGON has led me to believe that he has truly “built something awesome”. Glad to be apart of history! Go Tigers! I believe in the vision! I invested because people buy fraudulent tickets daily on the internet. I believe Bandwagon will help to alleviate this problem. I invested because I first learned of Bandwagon while living in Greenville, SC. I was very impressed with Harold and the vision he had since its inception. This company is going to make a significant impact!